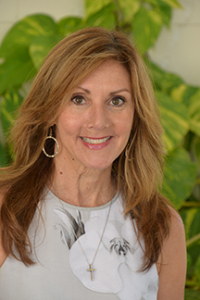 Mrs. Buckalew is a graduate of Flagler College in St. Augustine, Florida and has been a teacher for over 30 years. She holds a Bachelor of Arts degree in Secondary Education and English. She is certified in English Language Arts, Reading, and Theatre Arts for grades 6-12. Mrs. Buckalew has taught in Hawaii, Texas, Georgia, and Florida. She and her husband have three grown children; Elizabeth, Sarah, and Matthew. She enjoys boating, traveling, and spending time with her family. She is a member of the Holy Name of Jesus Catholic Community.